I featured my AM Riser and PM Relaxer beverages on Good Morning America this week and I have been getting a ton of requests from viewers to share it with those who have not had a chance to join the PowerPerks movement. As I shared with my dear friend, Robin Roberts, on Good Morning America, I believe in seizing any nutritional opportunity and in this case, I’m referring to water. My AM Riser should be an essential part of your daily routine. It includes powerful cancer-fighting compounds: turmeric, ginger, mint, parsley, lemon or even a cinnamon stick. 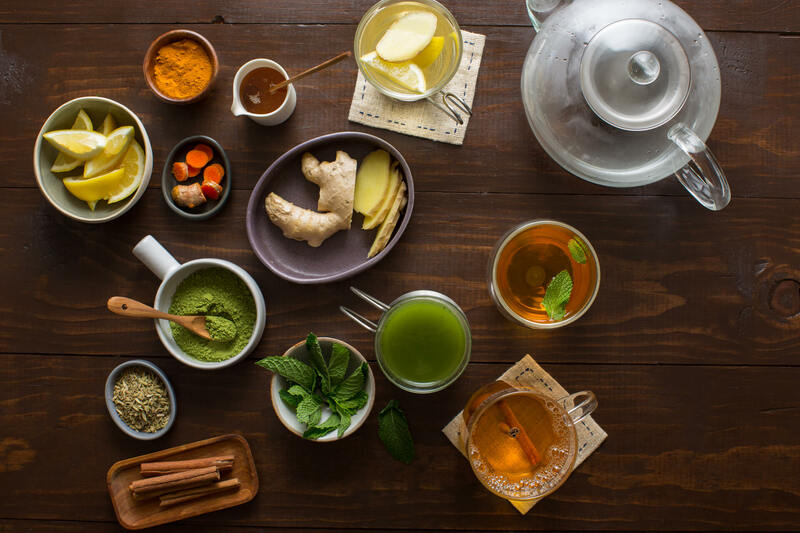 This accomplishes three important goals: By steeping the roots and herbs you choose to include in warm water, you can benefit from the anti-inflammatory properties that may help calm the digestive tract, prevent indigestion, and may lower your risk of breast cancer or it’s recurrence. For my PM Relaxer, simply take the same brew, heat it back up, and steep a tea ball of fennel seeds. Fennel is my secret de-bloating weapon that can help settle your stomach at night. Want more relaxing, feel good vibes? Add a chamomile tea bag to the mix. 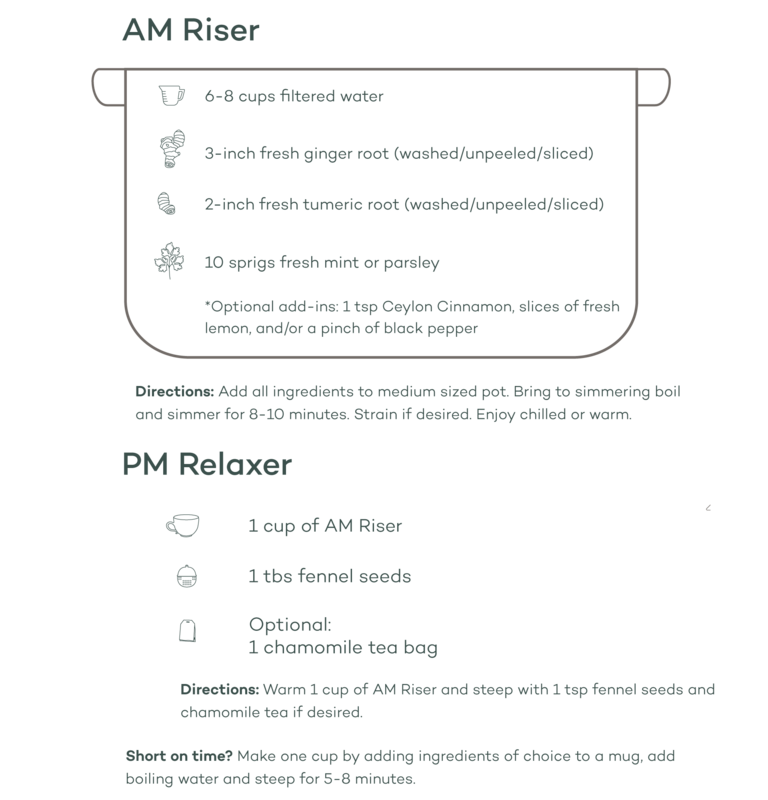 Below is an infographic and easy recipe for my AM Riser and PM Relaxer. It’s super easy and fun to make! Want more recipes like this? Join my online program, PowerPerks. Use coupon code GMA20 to receive 20% your PowerPerks program from now until 10/31/17.